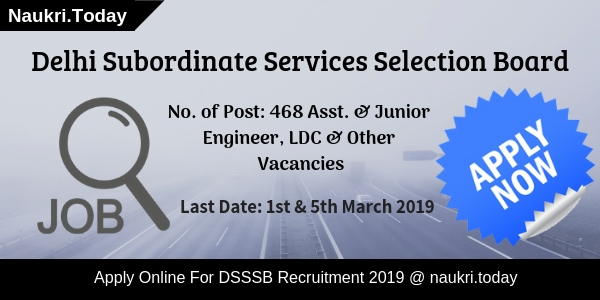 Hello Friends, Do you want to apply for DSSSB Recruitment 2019? If yes, then here is a great opportunity for you. Delhi Subordinate Services Selection Board is inviting application forms for 204 LDC Steno & Other Vacancies. Interested & eligible candidates can apply through online mode. Online registrations have started from 31.01.2019. Participants can fill online application forms for Delhi SSSB Vacancy till 05.03.2019. For more details relevant to selection process & eligibility criteria, aspirants can read the given below article carefully. Fresh Update as on 01.03.2019: Participants who wish to apply for DSSSB Recruitment can fill application form from here. Candidates who want to fill form for Junior Engineer post should not delay now. Registration will close very shortly. 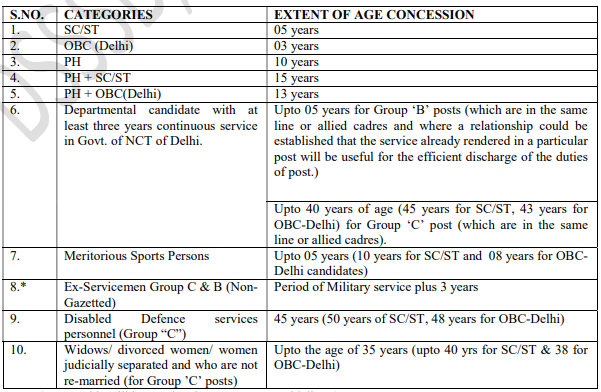 Is There Upper Age Relaxation Scheme Is Applicable In DSSSB JE Recruitment 2019? What is the Important Date for Delhi SSSB Jobs 2018? What is the Selection Process, Pay Scale & Application Fee for Delhi SSSC Bharti 2018? How To Check Exam Fees, Pay Scale & selection Criteria For DSSSB Teacher Bharti 2018 ? Yes, Reserved category candidates are exempted from the payment of application fee. For more details participants can read the DSSSB Notification. Firstly, candidate should log on to the official website i.e. dsssbonline.in. 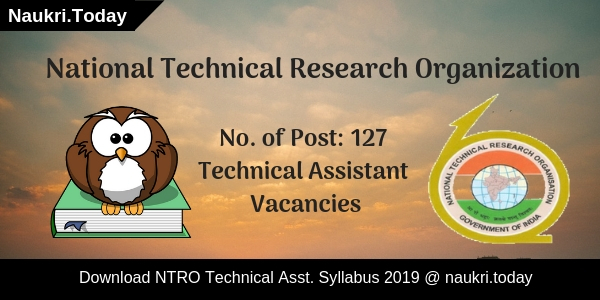 Then search for Delhi SSSB Jobs Notification 2019. Click on the notification & read it carefully. Afterwards, eligible & interested applicants can click on “Apply Online” link. Then fill all the personal details in DSSSB Recruitment Online Form. Recheck all details in DSSSB LDC Recruitment form. Candidates can also take print out of DSSSB Vacancy Application Form. Aspirants must note down application no. & password. Conclusion: Delhi Subordinate Services Selection Board has issued notification for 204 LDC, Steno, Welfare Officer & Other Vacancies. Participants must apply online for DSSSB Recruitment 2019. Candidates must fill application form for Delhi SSSB Vacancy 2019 till 05.03.2019. Hello Friends, are you waiting for DSSSB Recruitment 2019? If yes, then here is a good opportunity for you. Delhi Subordinate Services Selection Board has issued notification for 264 Assistant Engineer Posts. Participants can apply online from 30.01.2019. Online registration for DSSSB JE Vacancy will closed on 01.03.2019. Selection of the candidates for Delhi Subordinates AE Jobs 2019 will be on the basis of written exam & skill test. Application fee to fill registration form is Rs.100/-. For further more information applicants must read the given article carefully. Yes, upper age relaxation scheme is applicable by the department as per the norms of the government. You can check age criteria given for Reserved Category Candidates from here. For more information, you may download DSSSB Vacancy Notification from the link given below at the end of the article. Firstly, candidate should log on to official website i.e. dsssbonline.nic.in. Then go to homepage & search for DSSSB Jobs notification. Fill all the personal details required in DSSSB JE Vacancy Online Form. Then Upload your recent passport size photo & signature in application form. Recheck all entries filled by you in DSSSB Recruitment Form. Conclusion: Delhi Subordinate Services Selection Board is inviting applications for 264 Asst. & Junior Engineer posts. Participants should apply online for DSSSB Recruitment between 30.01.2019 to 01.03.2019. Dear All, Delhi Subordinate Services Selection Board has recently announced notification for recruitment of 1650 Various Posts. DSSSB Recruitment advertisement is raised for Nursing Officer, Pharmacist, Lab Assistant, Stenographer and other posts. So applicants those want to apply for DSSSB Nursing Officer Vacancy through online. 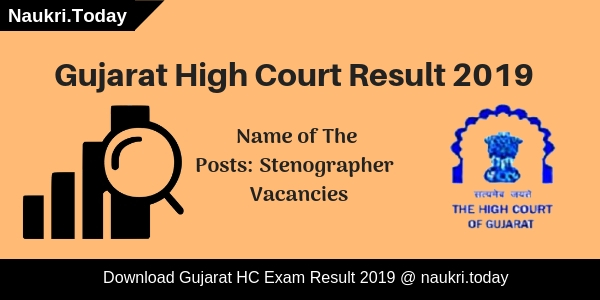 The online registration For Stenographer & Nursing Officer is starting on 13.07.2018. Applicants who are going to apply online for Delhi DSSSB Job may fill till last date 13.08.2018. Furthermore, details you require to read our full article carefully. Candidates who want to apply for Delhi Subordinate Jobs 2018 must fulfill given eligibility criteria. It includes details of education qualification, age limit and others. More details are mention below. Candidates should be completed Matriculation or its equivalent for DSSSB Recruitment. Applicants also have ‘A’ Grade Certificate in Nursing from recognized Institute. If you want to check more information check DSSSB Nursing Officer Job Notification 2018. Participants minimum age should be 18 years. For DSSSB Nursing Officer Vacancy applicants should not be more than 32 years. Maximum age for other vacancies refer to Delhi Subordinate Jobs Notification 2018. Upper age relaxation is applicable as per govt. rules. Applicants selection DSSSB Recruitment 2018 will be made on the basis of one tier 1 online examination scheme. The question paper will be made in both Hindi & English. For more details check DSSSB Exam Syllabus 2018. Subjects are given below. After selection of applicants they will receive an attractive salary. You will get Rs. 5200/- to Rs. 20200/- with Grade Pay Rs. 2800/- & Rs. 9300/- to Rs. 34800/- with Grade Pay Rs. 4200/-. For more details check DSSSB Recruitment Notification. General & OBC Male candidates are require to pay Rs. 100/- towards application fees. SC/ST/PH Women Applicants not need to pay fees for DSSSB Nursing Officer Vacancy 2018. Fees will be paid through online mode using SBI e-pay. Once fees paid is not refundable. Applicants who are interested and eligible also may apply online for Delhi Subordinate Vacancy 2018. If you are going to fill up your application form must have valid email id. You also have valid mobile no. for DSSSB Jobs. Now you can follow some instruction mention on below section. First of all, go to official website dsssbonline.nic.in. Now get DSSSB Radiographer Vacancy Notification. Read it carefully, Now go to apply online link. Enter your personal information to get your registration no. Now login with your registration no., password or DOB details. Fill now your education and other information. Upload signature and photograph on your DSSSB Vacancy Form. Now take print out of application form for future uses. Conclusion : Delhi Subordinate Services Selection Board has published notification for 1650 Various Vacancies. Candidates can fill DSSSB Recruitment 2018 from 13.07.2018. Last date of submission DSSSB Nursing Officer Jobs 2018 is 13.08.2018. Are you seeking for DSSSB Recruitment 2018? If Yes we are informed you that Delhi Subordinate Service Selection Board is going to organize a written test for Teacher Vacancy. There are 4366 Post is available in Delhi SSSB Jobs 2018. You may check here qualification, age and selection criteria details for DSSSB Teacher Vacancy 2018. Applicants Can fill up their Application Form from 02.07.2018. Here we explain you category wise classification of Vacancies for DSSB Bharti 2018. Delhi Subordinate Service Selection Board has declared notification of 4366 Teacher Vacancies. Interested participants must be registered online before last date 30.07.2018 for DSSSB Vacancy 2018. Candidates who are going to apply for Delhi SSSB Bharti 2018 should collect pay scale and application fee information from below section. Selected candidates should be appointed in municipal Corporation in Delhi. So Applicants must prepare hard to grab DSSSB Jobs 2018. Here we gave you information about a number of posts available in a particular category for DSSSB Vacancy 2018. Candidates may also consult all the given information from DSSSB Notification 2018. Here we gave you links to download Delhi SSSB Notification 2018. Aspirants may check here eligibility criteria for about DSSSB Teacher Vacancy 2018. Participants must put all the details carefully in their application form for DSSSB Jobs 2018. Candidates must download DSSSB Notification 2018 either from here or from the official website. Participants should be passed English and Hindi as a subject in Secondary and Senior Secondary. Applicants who have clear 10 +2 Senior Secondary Degree are eligible for DSSSB Recruitment 2018. Candidates may also have two years of Diploma Degree in Elementary Teacher Education Course or its equivalent certified Course for a recognized Institution. For further more information candidates should download DSSSB Teacher Recruitment 2018 notification. Candidates who have not complete 30 years of their age can apply for DSSSB Teacher Vacancy 2018. Upper age relaxation for SC/ ST Candidates is allotted as per the government rule for Delhi SSSB Jobs 2018. Candidates can apply from links available here for DSSSB Recruitment 2018. It is a great opportunity for youngsters who want to make their career in Teaching Line. Aspirants can collect more details form DSSSB Notification 2018. Candidates need to fight written examination to grab DSSC Teacher Vacancy 2018. Final Selection should take place according to marks of written test. So candidates need to perform well in DSSSB Bharti 2018. Participants should start preparing for Delhi SSSB Vacancy 2018 before an examination. Candidates must read this article carefully for regarding more details about DSSSB Bharti 2018. Download DSSSB Jobs 2018 Notification from links provided here. Delhi Subordinate Service Selection Board should pay selected candidates salary of Rs. 35400 as per pay matrix of Group B. For more information regarding DSSSB Teacher Vacancy 2018 candidates should download official notification of Delhi SSSB Teacher Jobs 2018. Candidates of General and OBC Category should pay Rs. 100 as an application fee for DSSC Teacher Bharti 2018. SC/ ST Category aspirants should not be required to pay any fee. They are exempt from application fee payment. Candidates can deposit their application fee by internet banking, Credit Card and Debit Card. For furthermore information Applicants should download DSSSB Recruitment 2018. If you are interested and also fulfill DSSSB Vacancy eligibility criteria then fill the online form here. Before going to apply online you must have required documents and valid email id and mobile no. You must keep scan copy of photograph & signature. Now you can apply for DSSSB Group B Jobs 2018 before the last date 30.07.2018. Click on the link to download DSSSB Vacancy Notification. Read it carefully and if you are eligible for Delhi SSB Bharti 2018 then go to the online portal. First must be registered on the portal with filling up personal details like name, gender, dob, password, email id and others. After that, you will receive unique id and password to log in with your DSSSB Recruitment Application Form. Then enter you educational information on the form. Upload signature and photograph and then make payment of application fees. Submit DSSSB Group B Recruitment 2018 online Form. Conclusion: Delhi Subordinate Service Selection Board has issued notification of 4366 Teacher Post. Participants must apply from 2 July 2018 to 30 July 2018 for DSSSB Recruitment 2018. Here we gave you complete information about DSSSB Teacher Vacancy 2018. Applicants, If you are waiting for DSSSB Teacher Jobs Notification 2018 then here is good news for you. Delhi Subordinate Serf vices Selection Board has issued notification for filling up 9232 TGT PGT & Other Teacher Vacancies. Interested candidates can fill online form for DSSSB Recruitment 2018 from here before the last date. Closing Date of applying DSSSB PGT Vacancies online form is 31.01.2018. DSSSB Delhi is inviting online form for those candidates who are searching Jobs in Delhi. Online registration for DSSSB Vacancy 2018 will started from 05.01.2018. Appliers who are going to fill online form must check required eligibility criteria from here. Mode of submit application form through online mode. Rest of the information for Delhi SSSB Recruitment like Education, Age & Selection criteria from here in the below article. Interested candidates can check post wise required Education & Age Criteria for DSSSB Vacancy 2018 from here. Our naukri.today team is providing full details about Eligibility Criteria for Delhi SSSB Recruitment 2018. Check more details about DSSSB Teacher Jobs from official notification. Age of the candidates for DSSSB Delhi Recruitment must be shown in below section. relaxation in age is applicable only for reserved category candidates as per department rules & regulation. For Post No. 01 to 06, 62 to 65 : Upper age must be 30 years. For Post No. 10 to 44 : Age of the candidates must not more then 36 years. remaining Post : upper age must be 32 years for DSSSB Jobs. Male candidates pf UR & OBC Category must paid Rs. 100/- as application fees for filling online form for DSSSB Vacancy 2018. Other category appliers are exempted from paying application fees for SSSB Delhi Jobs. Fees must be deposit through online mode. Selected candidates for DSSSB Recruitment 2018 will paid pay band Rs. 9,300/- to 34,800/- with Different Different Grade Pay. Appliers can check post wise grade pay of DSSSB PGT Vacancies from official notification. Selection of the candidates for DSSSB Delhi Vacancy will based on One or Two tier examination. Final merit list of selected candidates will made on the basis of Marks Obtain in examination. Question paper will available in both English & Hindi Language. More information about DSSSB recruitment 2018 selection method you can check from advertisement which is mention below. Applicants who are going to fill online form for DSSSB Vacancy 2018 must read the given below steps. These steps is helpful for filling DSSSB Online form for TGT PGT & Other Posts. First of all candidates log on to the official website www.dsssbonline.nic.in. Now click on Official Delhi SSSB recruitment Notification link. Read all the information from DSSSB Jobs Notification. If you are eligible then click on Applying Online form link. Deposit application fees & check all details filled in form. Click on submit DSSSB Teacher Jobs Online form. Conclusion : – DSSSB Recruitment 2018 for 9232 TGT PGT & Other Vacancies. Candidates can fill online form for DSSSB PGT Recruitment 2018 on or before the last date 31.01.2018. For more updates about Delhi SSSB Vacancy then check the above article.